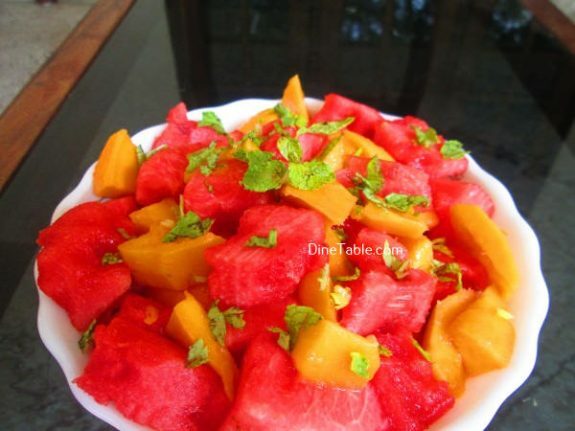 Watermelon Mango Salad is a light and refreshing dessert with a good mix of flavours. It is delicious and easy to make. Salad is an excellent daily choice to improve your health, to reduce fat in your body, and to feel better. 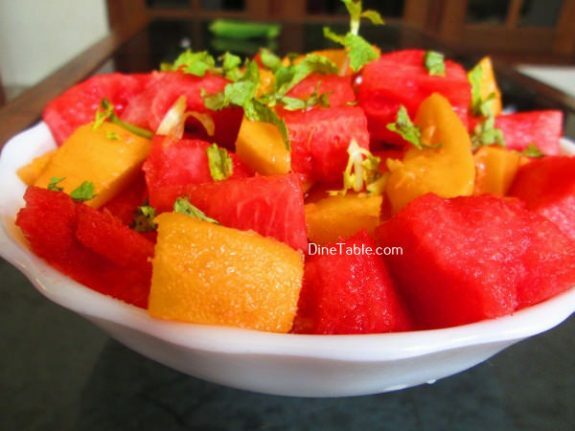 Fruits are generally full of useful vitamins and minerals that are important for you. 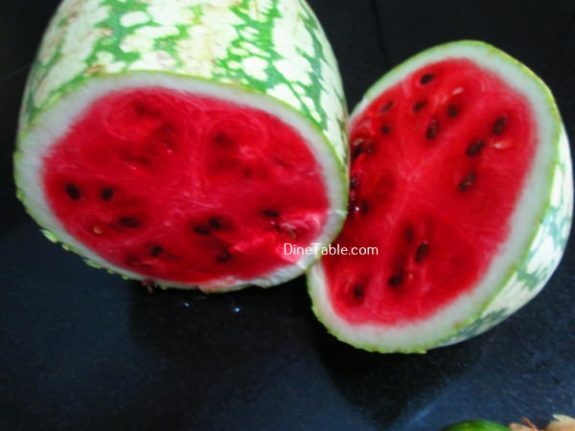 You can use it as a snack between big meals or you can use it as a last meal of the day. 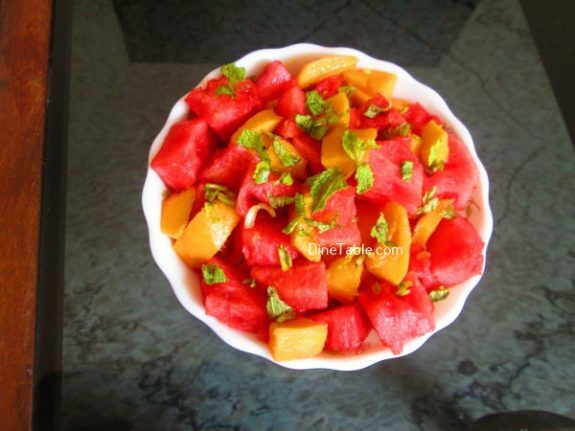 Tryout this healthy fruits salad at your home and enjoy during this hot summer. Click here for other healthy salad recipes. 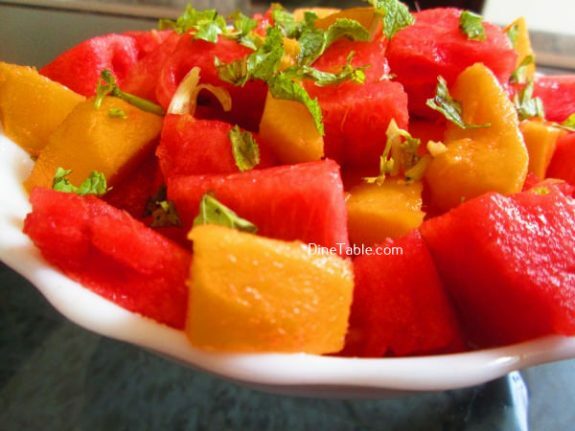 Clean and cut the watermelon and ripe mango into cubes. Combine watermelon and ripe mango in a bowl. In a separate small bowl, whisk together lime juice, honey and salt. Drizzle lime honey mixture over fruit cubes and gently toss to coat. Sprinkle with chopped mint leaves and serve. 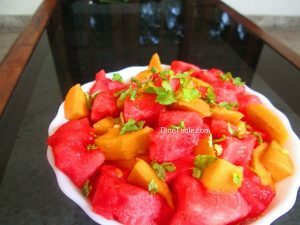 Tasty Watermelon Mango Salad is ready.